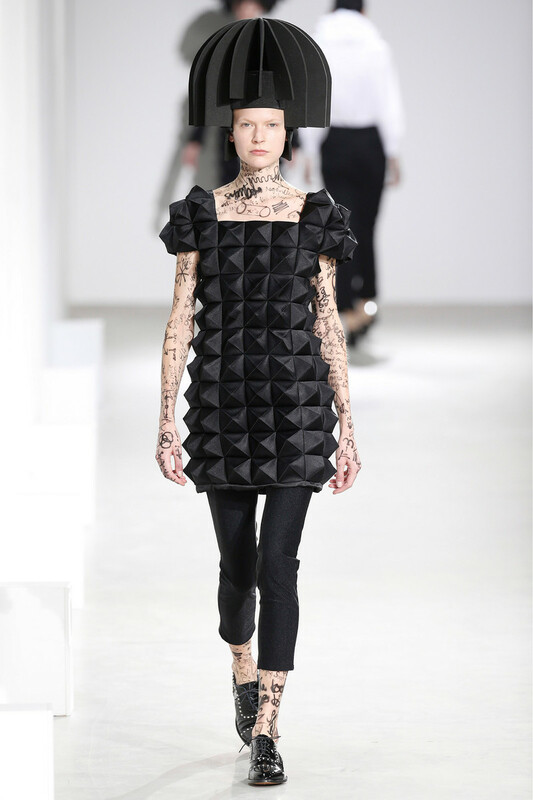 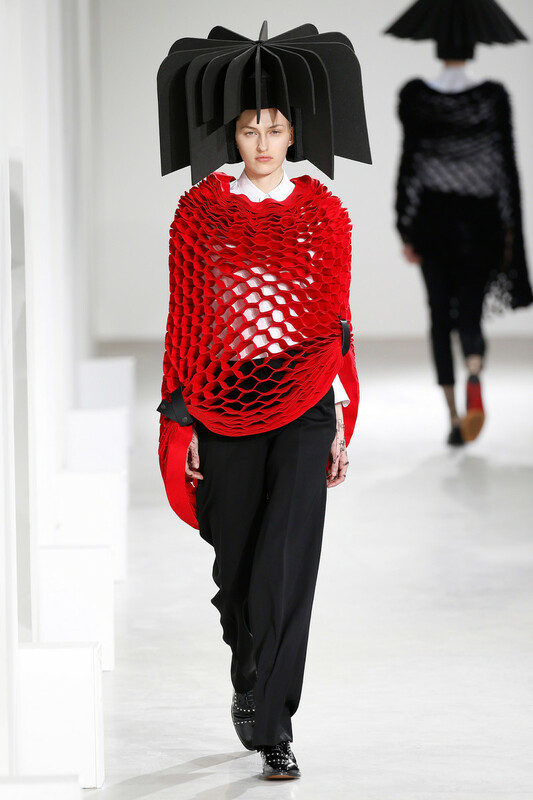 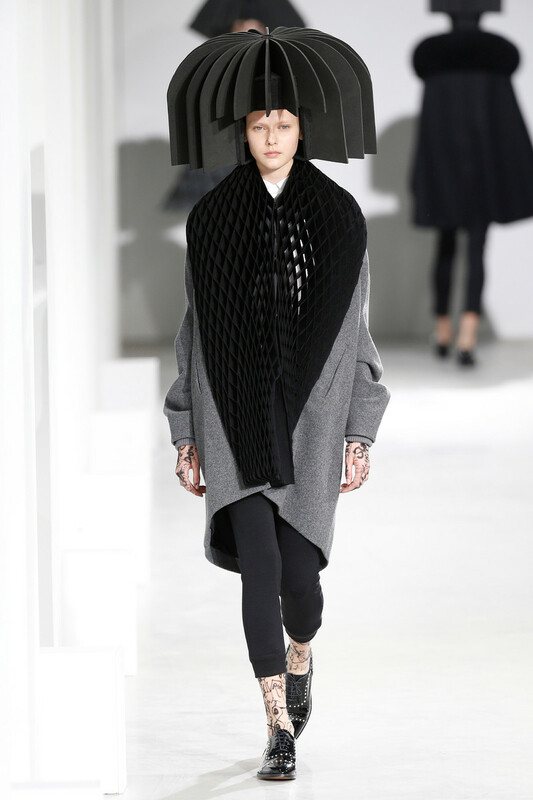 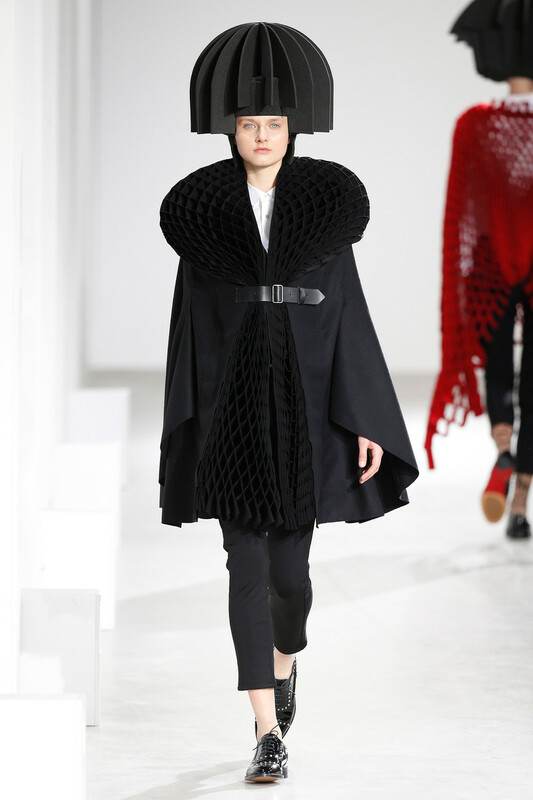 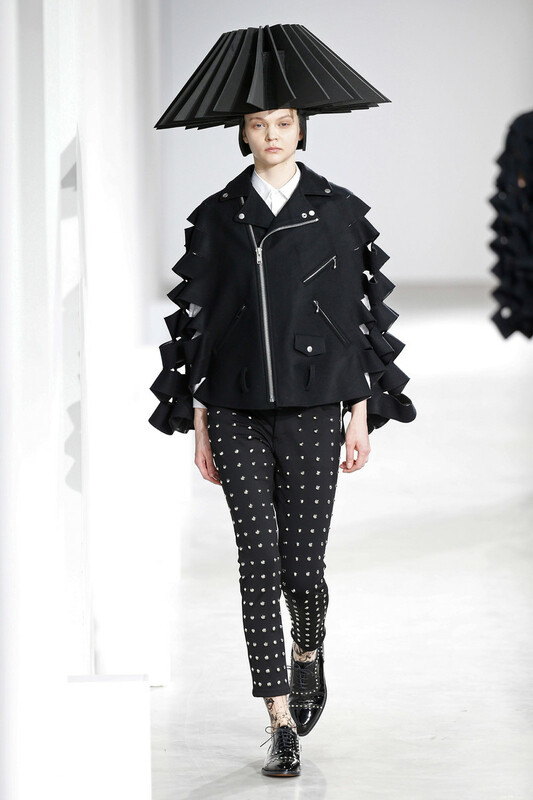 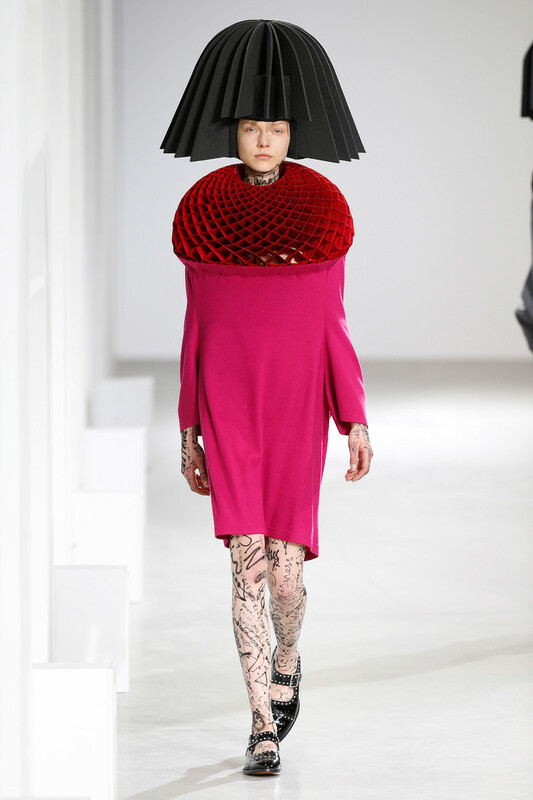 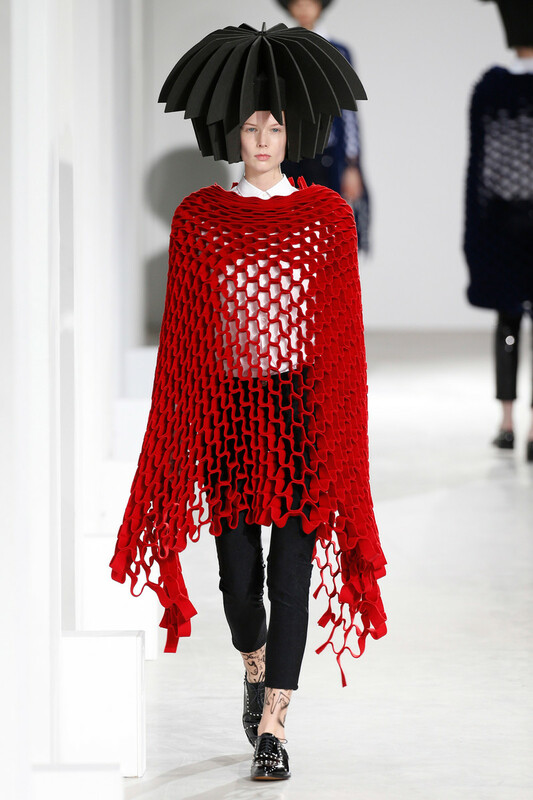 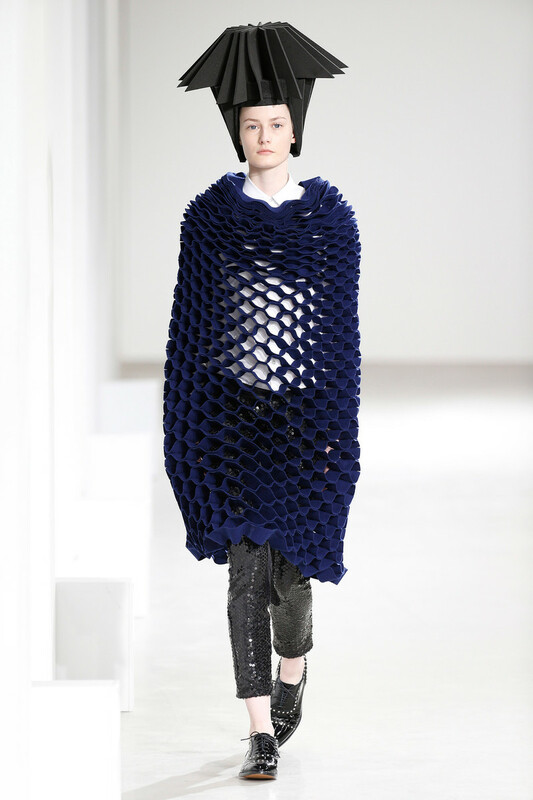 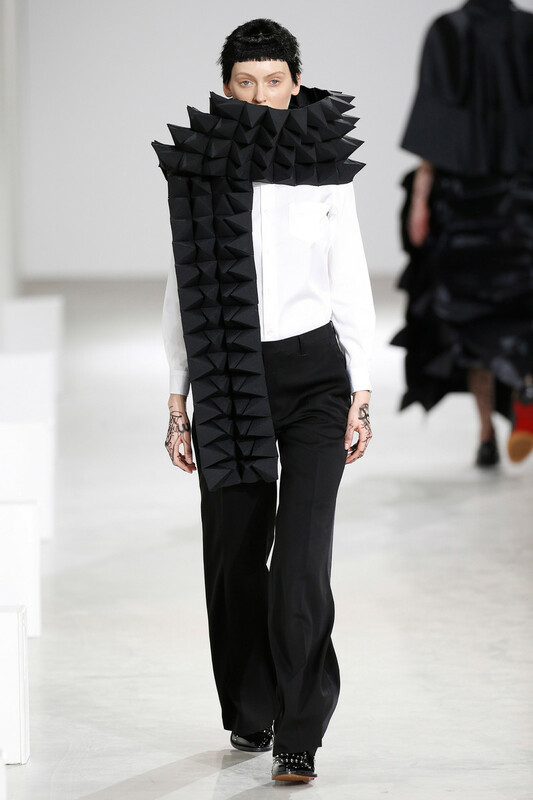 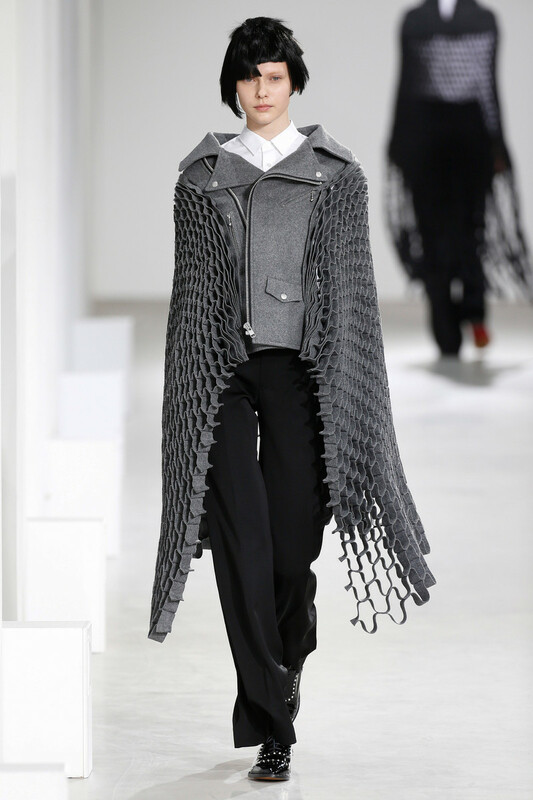 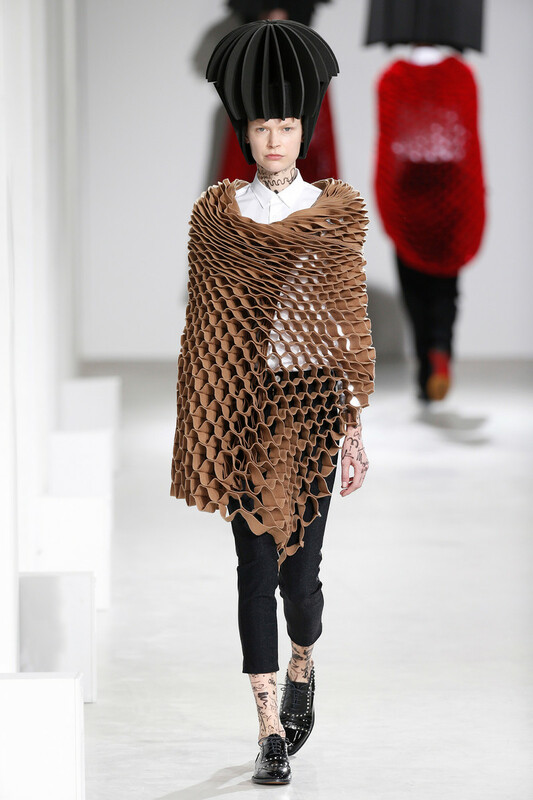 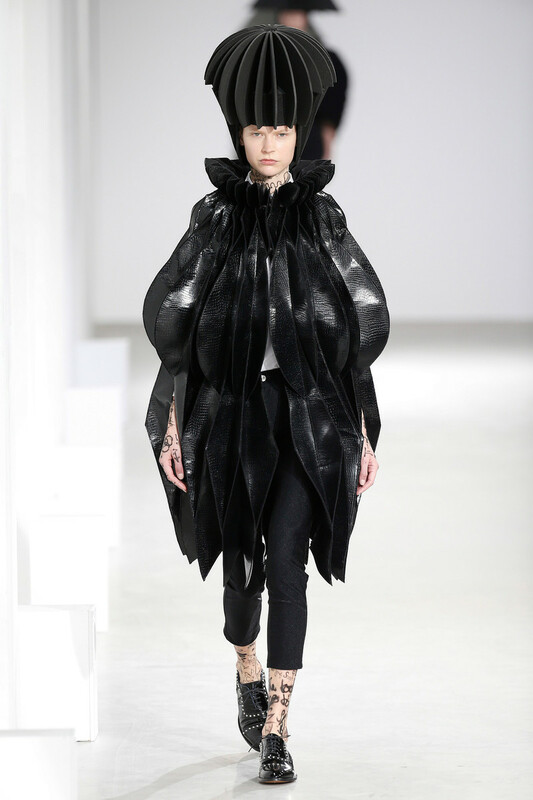 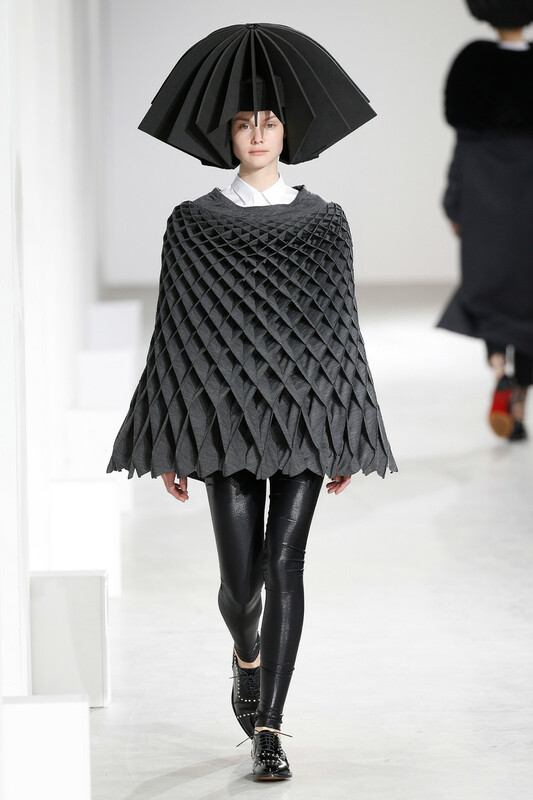 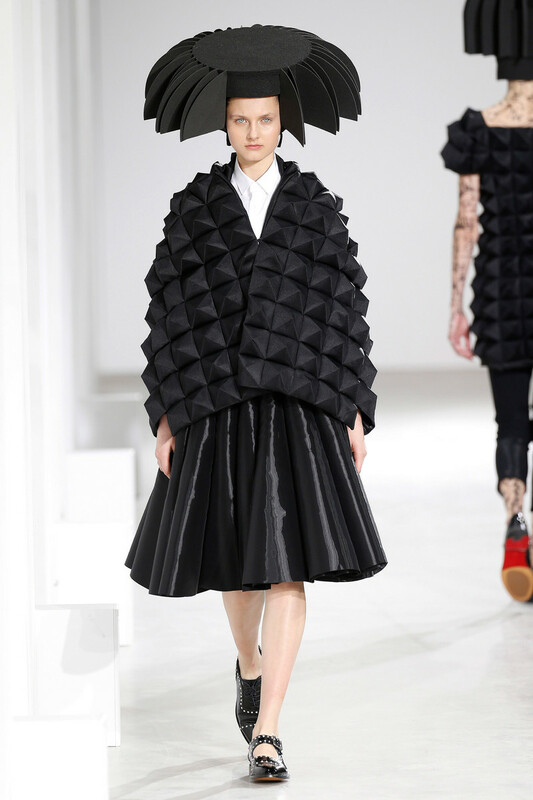 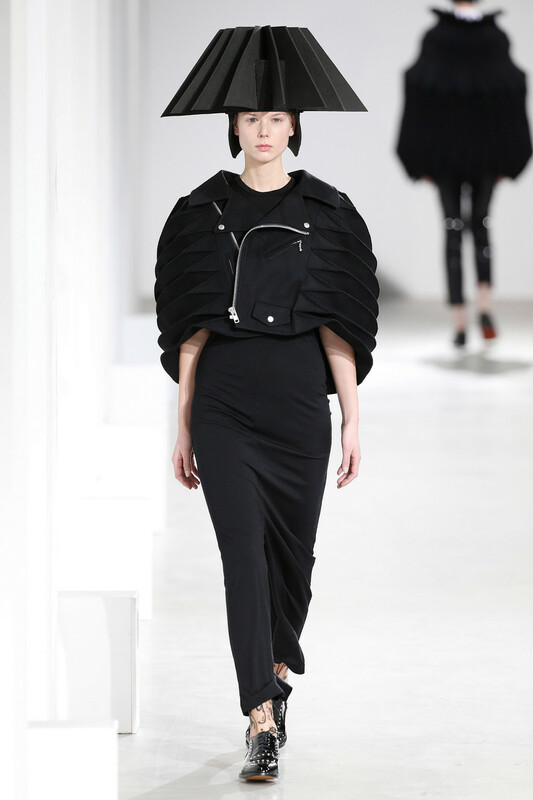 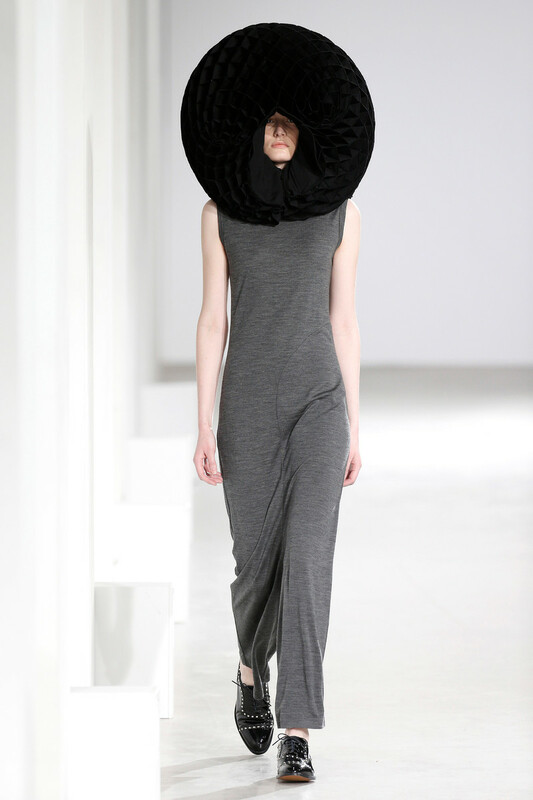 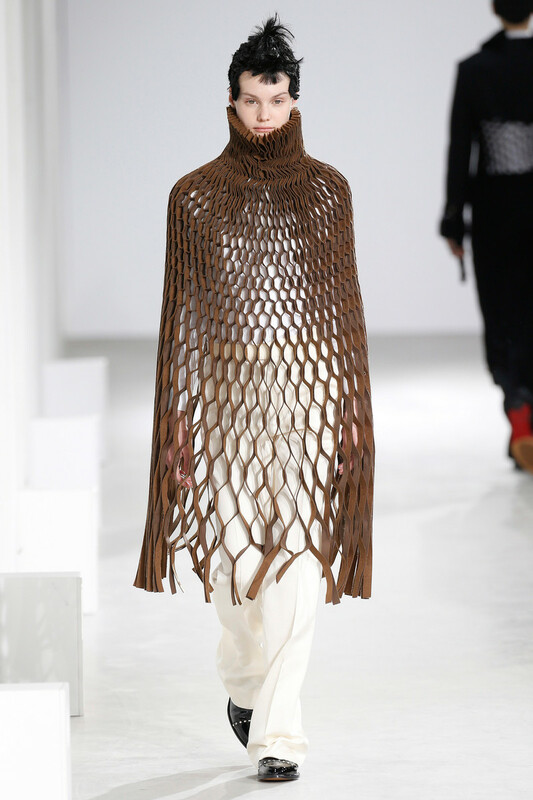 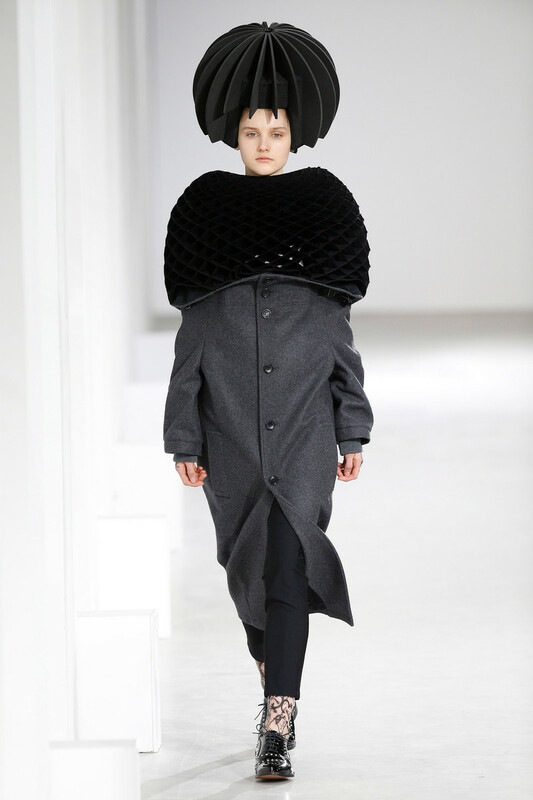 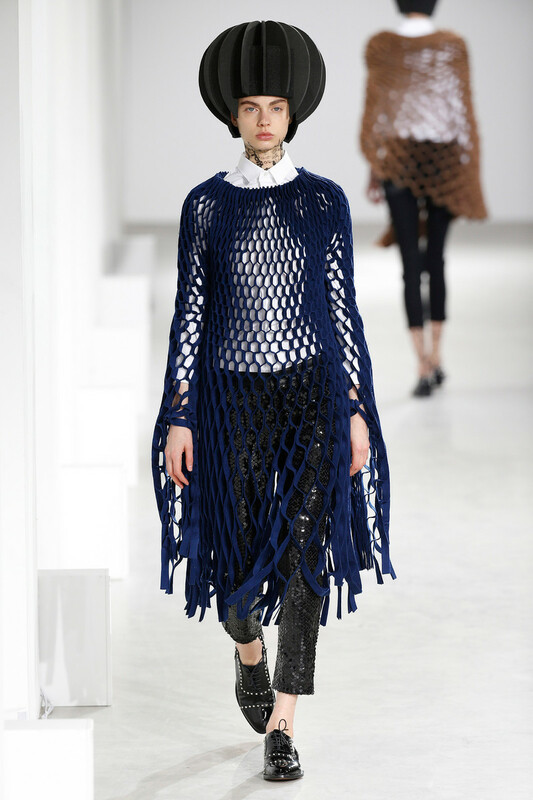 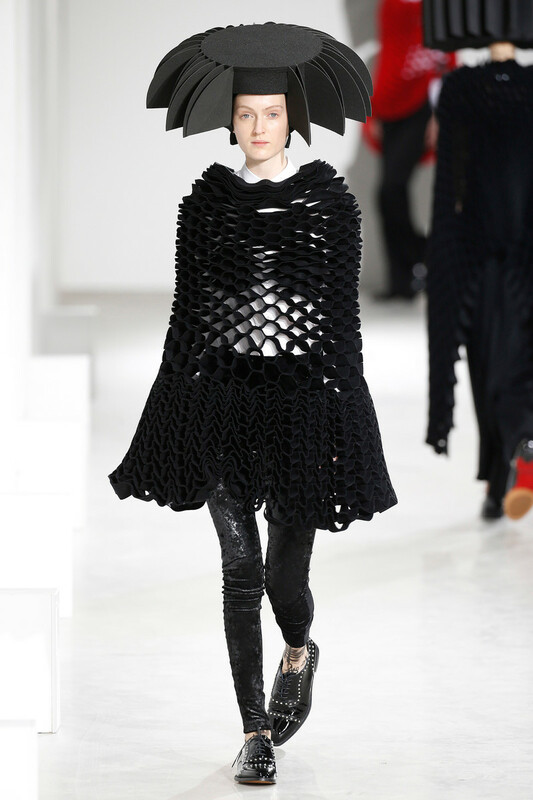 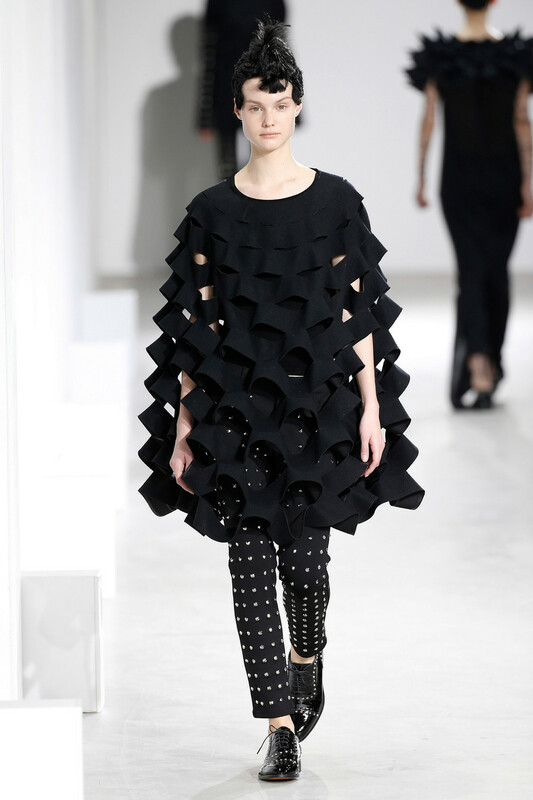 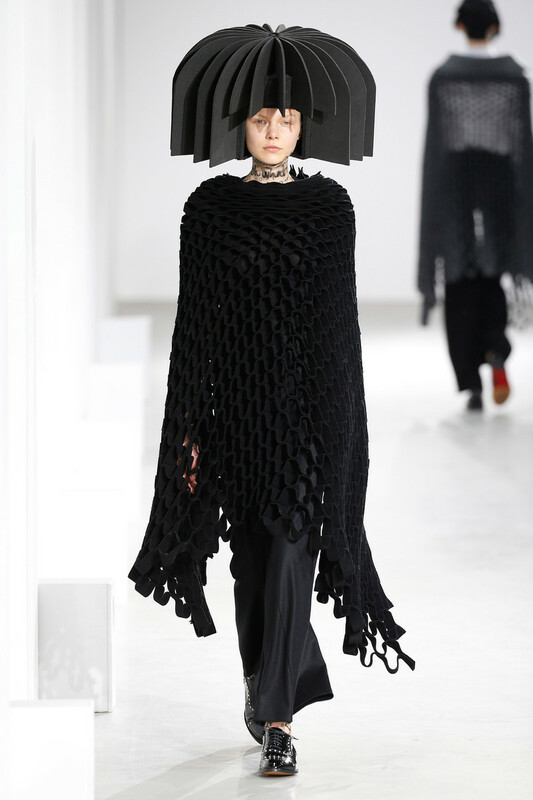 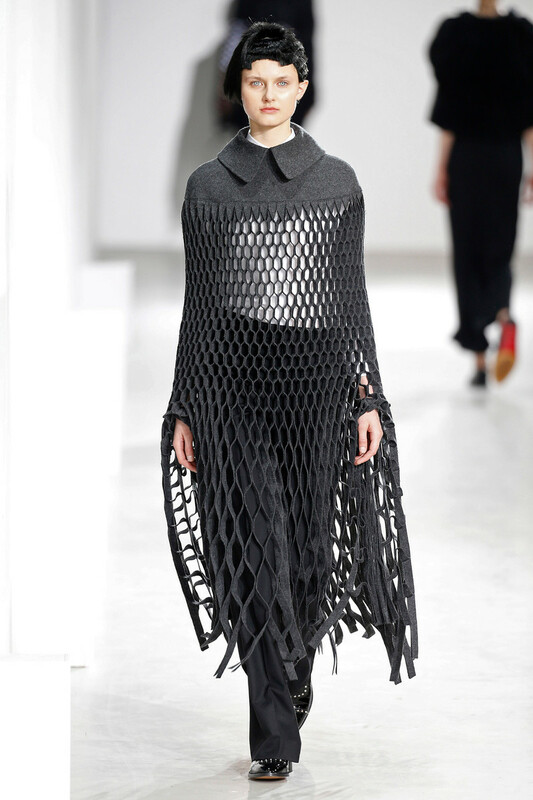 The story Junya Watanabe was trying to tell was that of algorithmic folds. 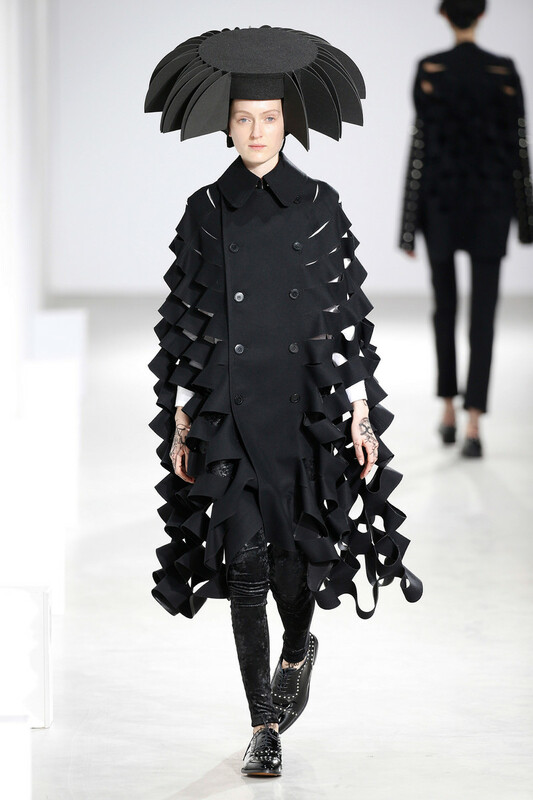 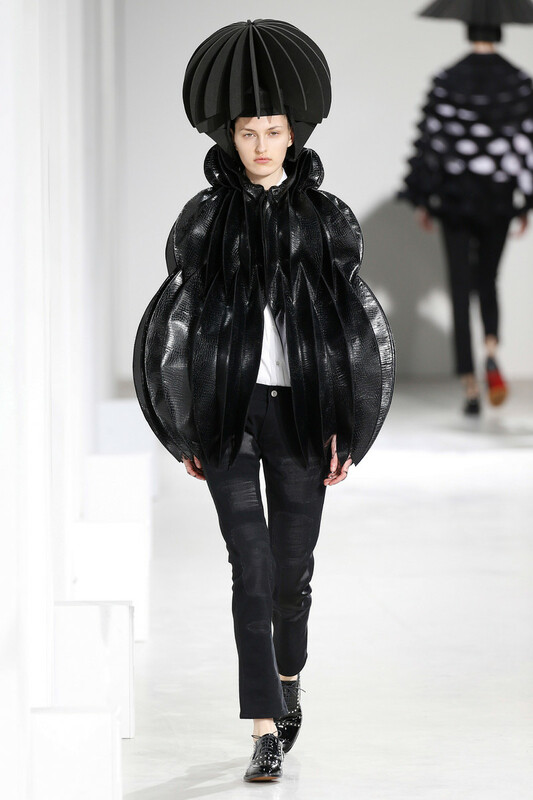 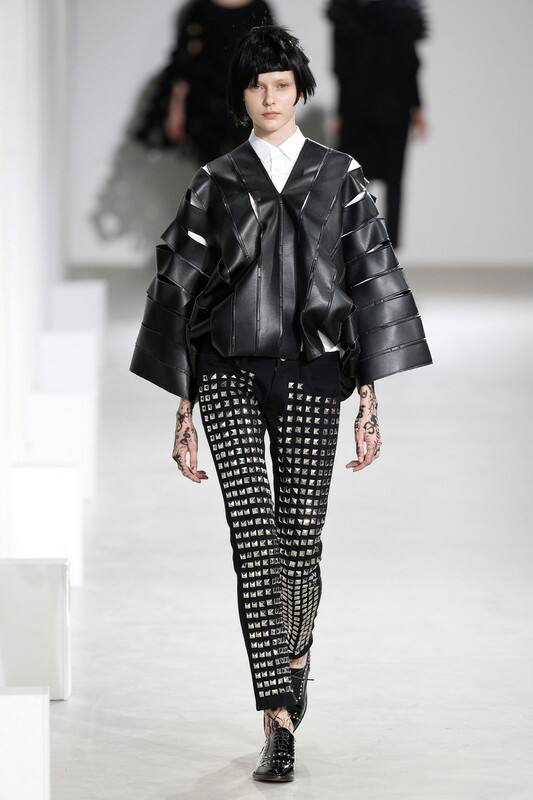 The result: incredible shapes crafted out of the basic and commonplace, such as starched white shirts, cropped tailored black pants, capes, moto jackets and T-shirt dresses. 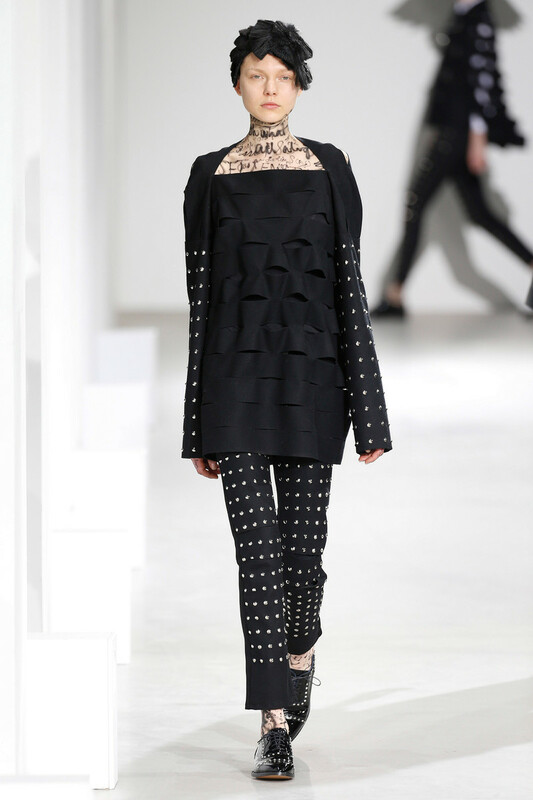 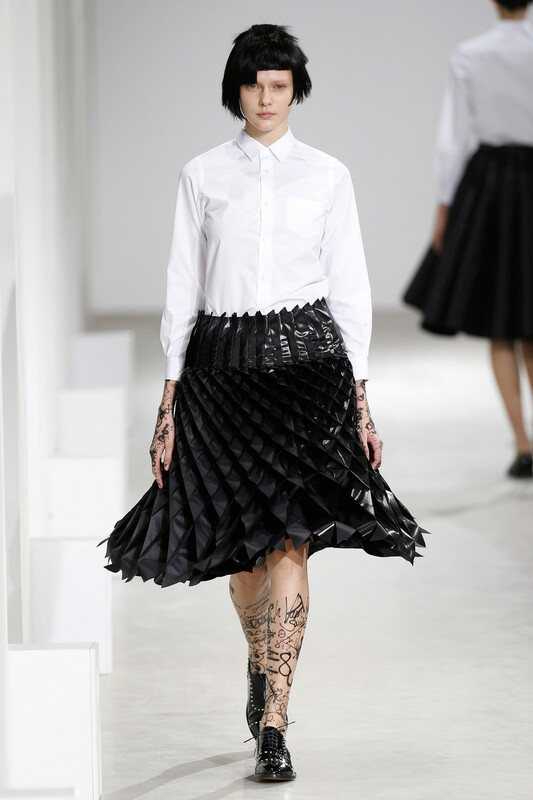 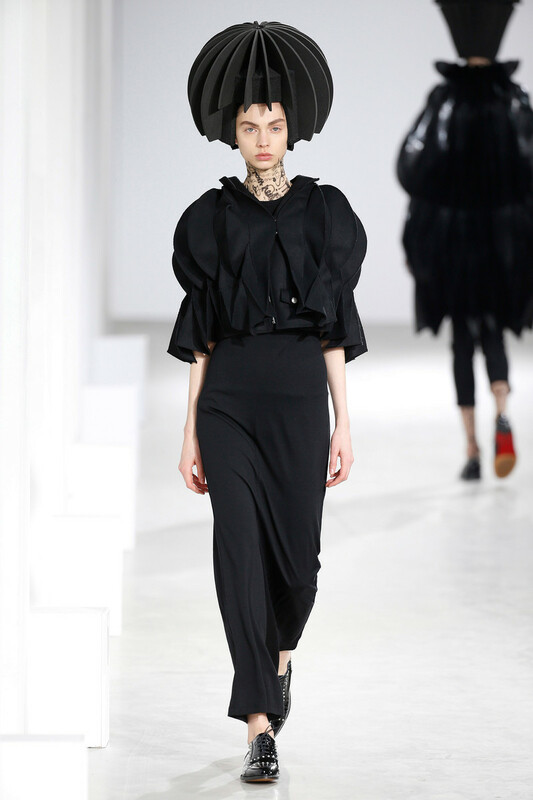 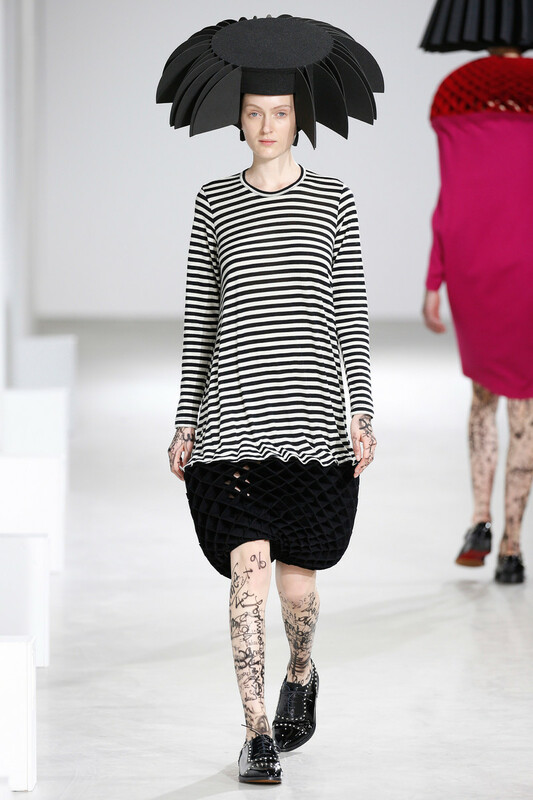 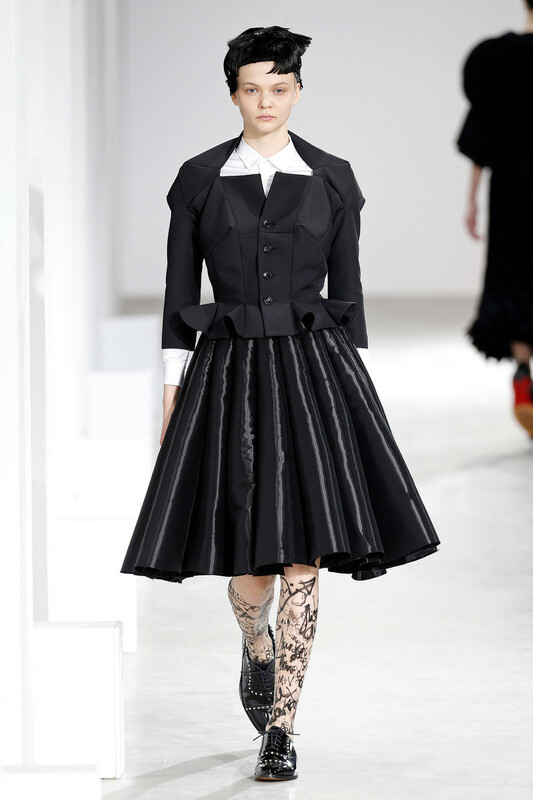 Beginning with a plain white starched shirt and full, shiny black skirt in rounded pleats, Watanabe quickly built up the silhouettes into sculptures topped with exaggerated symmetrical headgear that made the models look vaguely like chess pieces. 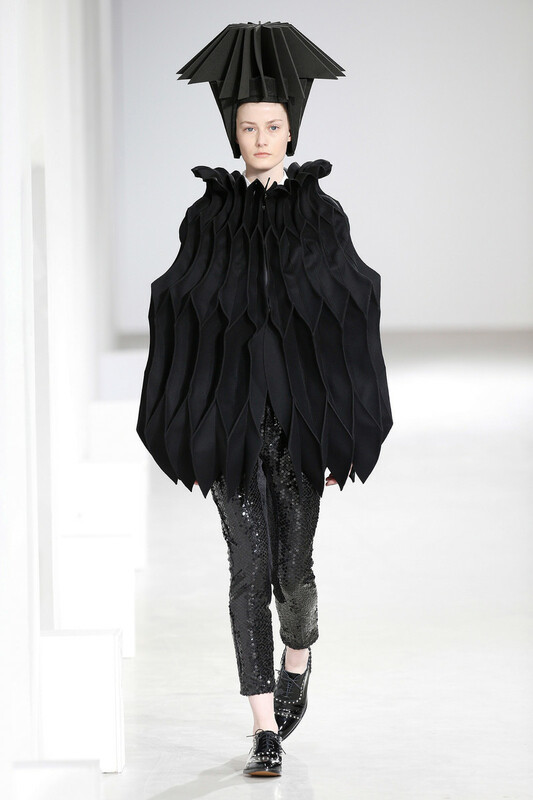 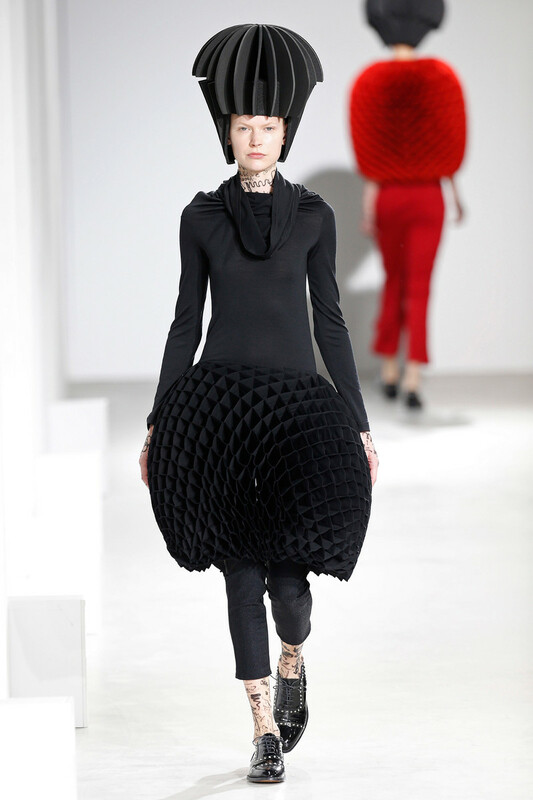 Skirts and capes came in precise honeycomb accordion folds that encased the body, some stiff, some structured but with a springy, elastic movement. 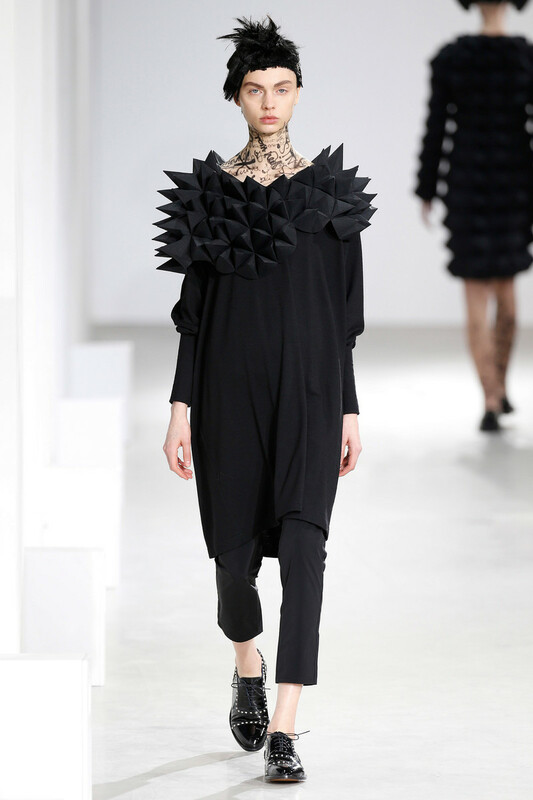 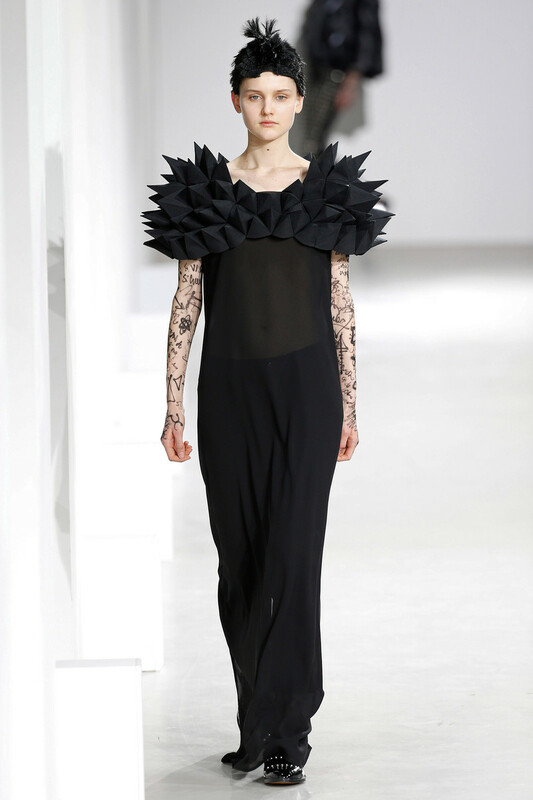 A loose, lean jumpsuit had a spiky shrug around the shoulders. 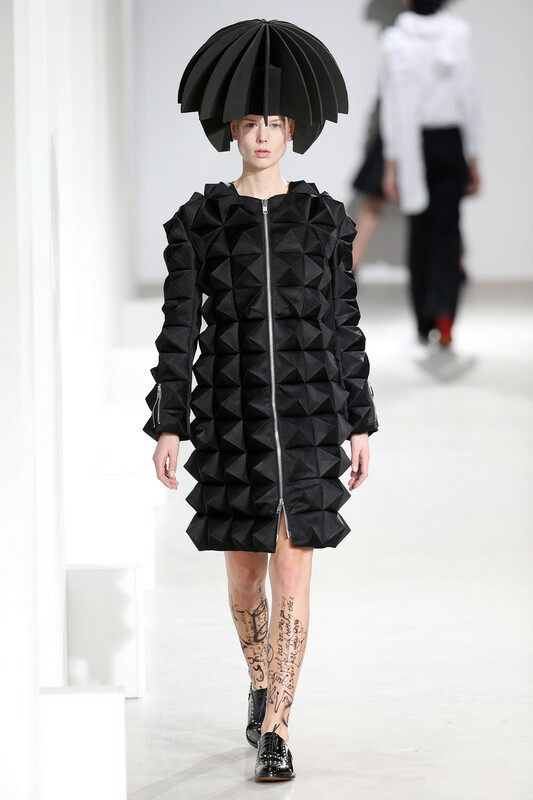 Most of the clothes would satisfy conceptual fashion geeks and retailers alike. 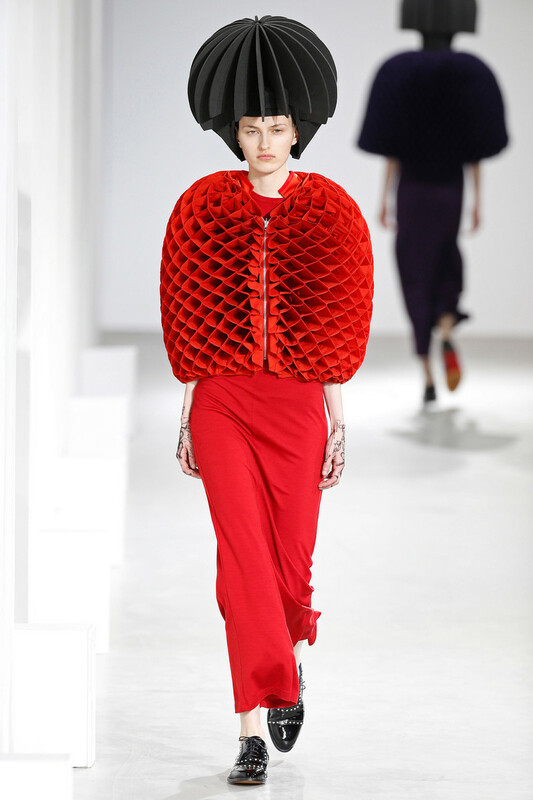 But some of it was just for fun: The round, red honeycomb neckline of a hot-pink dress looked like a modern geometric ruff; an even bigger version of it on a purple look had the shape of a grand, perfectly pruned topiary.